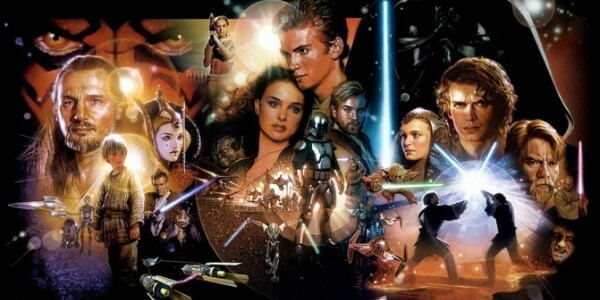 Should Disney remake the Star Wars Prequels? I read an interesting article recently where a Star Wars fan thinks that Disney should eventually redo the Star Wars prequels and essentially discredit the current prequel movies. I’ll admit like many of Star Wars fans I prefer the original trilogy over the prequel trilogy. My issue with the prequels is that George Lucas put too much of an emphasis on special effects and less on character development and dialogue. The prequel movies are decent but lacked the “Star Wars feel” that I got from watching the original trilogy. That’s one thing I really like about the new The Force Awakens film is that it definitely felt more Star Wars, and was a movie made for the fans. Having said that I don’t dislike the prequels, and I believe they do have a place in the Star Wars canon. Two of my all time favorite characters; Darth Maul and Qui-Gon Jinn were in Episode I: The Phantom Menace, and Episode III: The Revenge of the Sith actually tied in the two trilogies fairly nicely. Episode II: Attack of the Clones was my least favorite Star Wars movie out of all seven, and I felt the cheesy love story was terrible, however event that movie has some really great lightsaber battle scenes. I don’t think Disney would be wise to go back and redo the prequel. Let them be, and Disney’s time and resources would be better spent focusing on new Star Wars content. I personally would love to see a movie based in the Knights of the Old Republic era.